We offer customized, onsite training programs that allow us to provide you with the most relevant developments in safety for today’s Mission Critical industry. PMC’s on-site training courses educate companies, institutions, and individuals on fundamental components, procedures, technologies, and issues that assist in effectively managing a Mission Critical facility. Our goal is to increase communication and knowledge within 24/7/365 critical environments in order to facilitate in developing enhanced solutions for a dynamic infrastructure. 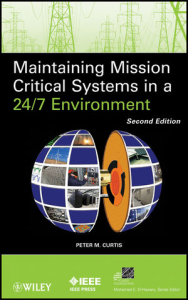 This is particularly essential for Senior Non-Technical Administrative Personnel, Electric Utility Engineers, End-Users, Facility Managers, and Equipment Designers. Electrical equipment poses a hazard to people and property if improperly designed or installed. Through the years, codes, standards, and regulations have been developed based on practical knowledge and experience to specify how electrical components should be installed and maintained in order to prevent fire, equipment failure, and safety hazards to people. Electrical energy, if improperly managed and used, can cause serious injuries or even death. We look to prevent this with adequate education and training as many incidents are attributed to human error or delayed response. Understand and utilize lockout/tag-out safely and effectively. Become aware of potential electrical hazards to employees. Familiarize themselves with the methods and procedures to create a safe working environment. Gain the skills and techniques necessary to distinguish between exposed live parts from other parts of electric equipment. Understand clearance distances and corresponding voltages to which they will be exposed. Understand the proper approach procedures to exposed live parts. Be able to utilize personal protective equipment safely and effectively. Assume responsibility for their personal safety and act to eliminate hazardous conditions or unsafe acts in the workplace.